1. “I’ve never really been trained to teach people how to play guitar.” There are plenty of guitar teachers who have learned how to play guitar well for themselves, but VERY few who have actually learned how to TEACH. Being good at guitar and knowing how to teach it are totally separate issues and most guitarists who call themselves ‘guitar teachers’ are completely unqualified to do so. Personally, I find it strange that most guitar students never think of asking their guitar teachers for their experience of being ‘trained’ to teach guitar. Would you trust your doctor to perform surgery on you if he had never actually been trained to do it? Didn’t think so! This is a huge reason why there are so many mediocre guitar players… they learn from teachers who have no clue how to actually teach! 2. “You probably won’t become a great guitarist by working with me.” Even if your guitar teacher has a lot of students, chances are high that few (if any) of these students are great guitarists who can play at a high level. So, if you work with a guitar teacher who doesn’t know how to teach his other students to play guitar at a high level, you simply can’t expect to become a great guitarist yourself. 3. “With me, you are limited to playing at a beginner or intermediate level. By keeping you at this level, I can make more money.” Since a lot of guitar teachers don’t have many advanced students, they lack knowledge, experience and confidence when it comes to teaching anyone beyond a beginner or intermediate level. Most teachers feel uncomfortable teaching advanced students and think that you will leave if you become really good. As a result, they will try to hold you back in order to keep you longer as a student and get as much money from you as possible. This sounds shocking, but it happens quite often. 4. “I can only teach you in private lessons, because I don’t know how to teach any differently.” Contrary to what many teachers will tell you, learning guitar using a private one on one format is NOT the greatest system to learn with. The teachers who try to get you to believe this myth have no experience training A LOT of people to reach high levels of guitar playing. If they did, they would understand that you can get much better results by using a variety of other highly effective guitar learning formats. 5. “Whenever you come in for your guitar lesson, I simply make it up as I go along. I really have no plan whatsoever.” Most guitar teachers do not use a strategy to help their students, and as if that wasn’t bad enough – they often improvise a plan for your entire lesson in the 30 seconds it takes you to take your guitar out of its case when you arrive. If you are like most guitar students, you sometimes have a sneaking suspicion that your teacher either doesn’t know what he is talking about or is simply making it up as he goes along… and the worst part is, you’re right! 6. “I’m going to teach you using a GENERALIZED guitar instruction approach because I don’t really know how to help you reach your personal musical goals. This may or may not actually be helpful to you.” One of the most common ways that guitar teachers hide their lack of knowledge and experience is to use a generalized approach for everyone they teach. Almost every time I start training a guitar teacher, they ask me: “Tom, do you know any kind of methods I can use in my guitar teaching so I don’t have to worry about what I should teach my students every week?” The truth is, with the exception of total ‘beginners’, your guitar teacher MUST use a specific teaching strategy for each of his students (including you) in order to help them effectively improve and reach their goals. 7. “You want to become a creative guitar player? Sorry, I cannot teach you that… you’re either naturally creative or you’re not creative at all.” Just about every guitar teacher out there (falsely) assumes that creativity cannot be taught. These teachers believe that being able to play creatively on guitar is a gift that you were born with. If you take lessons from a teacher like this, you will never become a creative guitar player because your guitar teacher simply doesn’t know how to help you develop this skill. These teachers will only show you WHAT to play but never how to use it in actual music. Fact is, creativity is a skill that can be developed just like any other skill on guitar. Now that you are aware of what really goes on in the mind of most guitar teachers, use this guide about how to find a guitar teacher to find the right teacher for you. 1. I help more guitar players to learn guitar online in one year than the average guitar teacher will ever teach in his entire life. 2. You can see the overwhelming proof that my guitar lessons work by listening to the testimonials of my electric guitar students online. 3. I’ve created a special program that helps guitar teachers develop guitar teacher skills (You can see for yourself on this guitar teacher program results page). 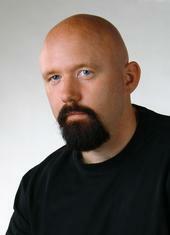 Tom Hess is a professional recording artist, composer, and the guitarist in the band Rhapsody Of Fire. 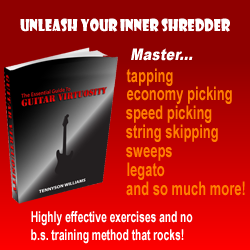 He teaches and trains guitarists how to become great musicians in his online rock guitar lessons. Visit tomhess.net to receive additional free guitar playing resources and to read more guitar articles.